Follow the fun in real time!!! WHO will BE the New champion!?! How can i sign up to nation wars? Nation Wars has already begun guys & countries have been putting teams together for weeks. Get in touch with your country leader so you can participate next time around. Send me a pm including your country and I'll get you in touch with your country leader. Hi...why we are not there on the list . i speak about my team from Romania ...i had send a lot o f messages but i did not received an answer !!!! i had send a lot of messages and also posted my team on 30 Oktober but nothing happened !!!!! Sorry to hear that somehow your team got missed. Deepest apologies for that from everyone involved. I've contacted the Nation Wars organizers and your team will be added soon as possible. So no need worry. You hard work hasn't gone to waste. Well done getting a team together, I know it isn't easy. Do you have LINE APP? TheJusticeSquad or send me a private message here on the forum with your LINE ID. Your team is being added to the list as I type this so it should appear soon. Your team has been added. I'll be in touch soon with details how to update your team scores. 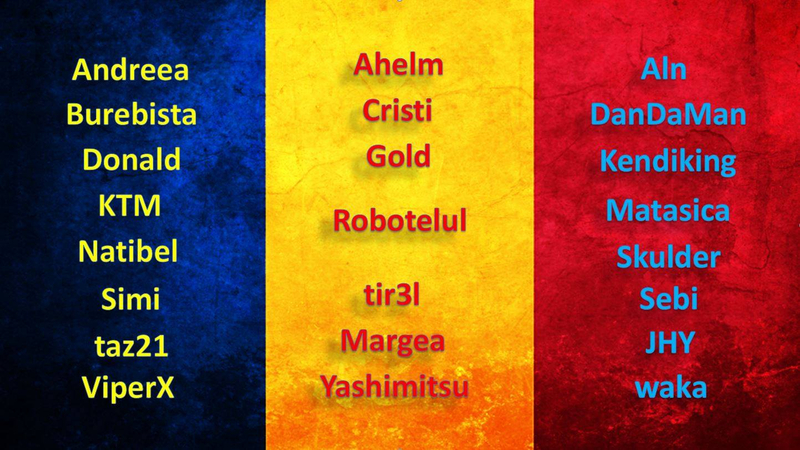 If you click on Romania in the list you'll see your team members already there. I'm a little busy for the next few hours but I'll be in contact with you either here or on LINE APP with details how to update your players scores. We had an awesome turn out this event. 20 Countries, some with second teams for fun, over 400 Players. Thanks to everyone for participating! Special thanks to all the team captains, there's a huge amount of work behind the scenes that is often not known, well done! Lastly 'Huge' special thanks to @buchizombiebreath for putting this event together & @Brian_ for the incredible amount of work put in to assist teams throughout the event. Just over 27hrs to go. It's great to see teams competing but also working together. Goodluck to all teams, I hope to see you and even more players next time. Final results will be posted here after challenge ends. 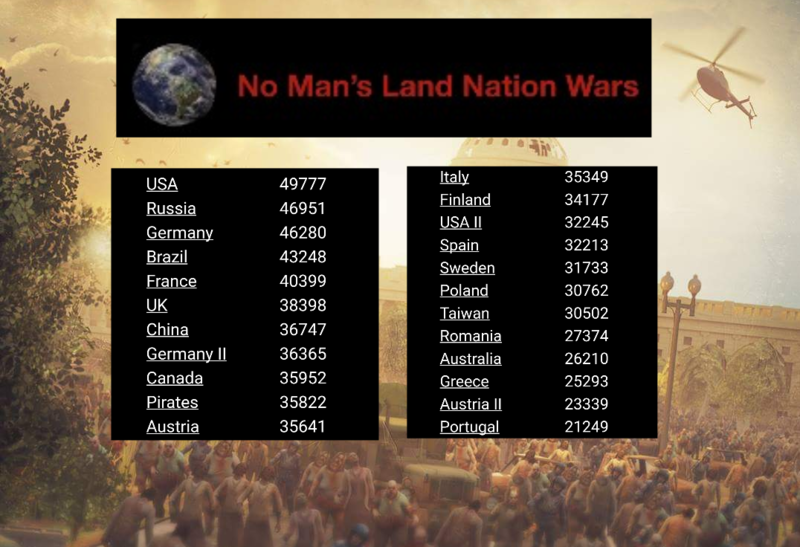 "We Are No Man's Landians"
Scores & Results are currently being verified. Once they are official they will be posted here. Everyone has been very busy with out of game obligations. Scores should be up early this week. Hey all the Wars are over and i wanna say thanks to all!